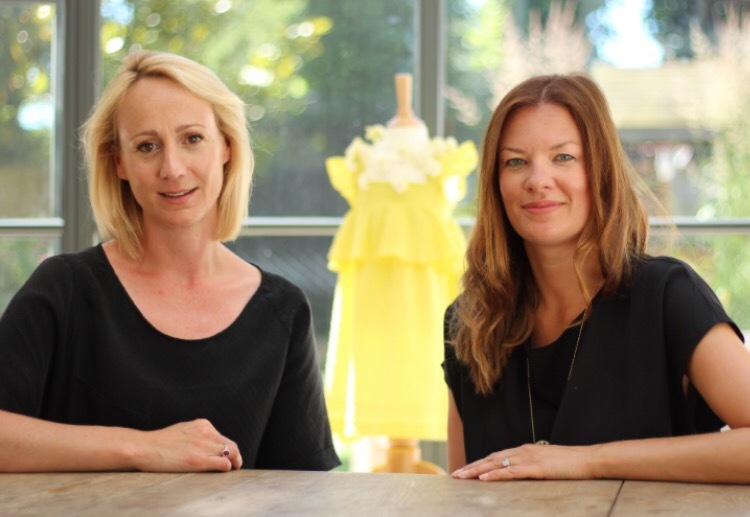 I had the pleasure of interviewing London Mum duo, Lucy and Lou about their beautiful designer childrens wear brand So Pretty. The girls share with us how they come up with the idea, their tips on being a successful Mumpreneur and their fashion predictions for the year ahead. Tell us a bit about yourselves? We met just over four years ago when our four girls started school and nursery at the same time. Lou has over 18 years in the fashion industry both as a model and and model agent working in New York and London and Lucy has worked in corporate and consumer PR for up to 16 years. 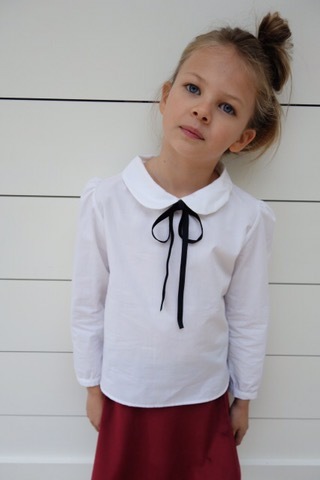 When our youngest girls were at nursery we had the idea of developing our own children’s brand of clothing. It wasn’t until they had all started school full time that we could really get things moving and so we launched ourselves into developing So Pretty. Tell us about So Pretty? 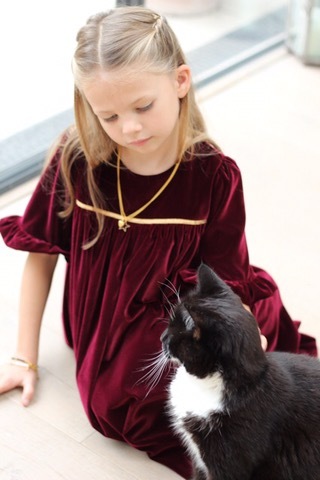 So Pretty offers a range of dresses, tops, trousers and jumpsuits for girls aged 3-12 years. We wanted to develop a range of clothing that is beautifully handmade here in London where we can work closely with our manufacturers which allows us to manage every piece as closely as we can. We design all our own patterns and like to choose fabrics that are fashion forward yet have a nostalgic feel that’s appropriate for young girls but also that Mum’s are happy to buy. How did you come up with the idea of So Pretty? We were frustrated that we couldn’t quite find what we wanted on the high street that was good enough quality and would last the time and that wasn’t too expensive or that many other girls would be wearing at the same time. We also felt it was time for us to do something for ourselves, all our children had started school and we had the time to dedicate to starting something we really believed in. Where do you get your inspirations for your beautiful designs? After the school run, all our girls go to the same school but two different sites, we meet on the common with our beloved dogs, Pickles and Obi and discuss our to do list over a couple of strong coffees. Emails and brainstorming, social media activity follows throughout the day, every day is different. The beauty of working in a partnership is that we can be incredibly flexible and split what needs to be done between us. We share the after school childcare and don’t rely on any nannies we are incredibly lucky! Without doubt choosing our fabrics and seeing the samples come to life, is really satisfying. Developing that process and using our girls as our fit models and getting their feedback is also really important as not only are we focusing on what we as mothers like to buy and design from a fashion perspective but also listening to what the girls say they really like and what they find comfortable and practical. Most Mum’s we know consult their girls above the age of 5 as to what they like to wear, it’s the way of the world now, girls have to have to have a say otherwise they just won’t wear the clothes! What do you think it takes to be a Mum boss? Learning to prioritise and really understand what it is you are trying to achieve. Keeping your end goal simple will keep you from over stretching yourself both as a Mum and at work. How do you find the balance between running a successful business and raising a family? Patience, a fantastic business partner and very understanding husbands! We often work weekends and Daddy Day Care kicks in for us. The beauty of being in a partnership is that we can share the childcare and step in for each other if we are both not required at certain sales. Pretty much all of our friends who work incredibly hard with high powered jobs and still manage the balance between home life and work despite not having the flexibility that many Mumpreneurs do have. Stella McCartney is a huge inspiration to us, she embodies an equal balance to creating an amazing womenswear and childrenswear brand and being a mum. After work, how do you find time to relax? Entertaining with friends is such a stress reliever, if it’s a mums get together or supper club during the week or big dinner party at the weekend there is nothing better than catching up with all your friends. There’s also nothing better than cuddling up to the children and dogs at the end of a day and watching a bit of the Disney channel! What are your top three fashion trends for 2017/18? 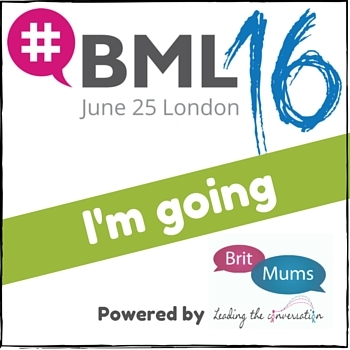 What are your top five tips for starting a business/What are your tops for budding Mumprenuers? 1. If you are going into partnership with a friend make sure you are both united in what you are trying to achieve, you have to listen to each other and compromise is really important. 2. Don’t over complicate your end goal, keep it simple. For example we started off with just a couple of designs as we needed to see how they would be received, and from there we have built and developed more. 3. Get a mentor – whether its someone within your industry or has extensive experience of business/internet/fashion it is important to have someone being a devils advocate sometimes you can be blinded by an idea or your strategy and an independent third voice can bring not just added experience but bring a clear perspective from a business point of view. 4. Stick to what you can afford, use your materials and patterns wisely. Retail is a hard business and over ordering with your manufacturers can be deadly if you don’t sell. It is worth seeing if you can agree with your manufacturers that you can re-order if your sales are going well. 5. Social media – when we first started we didn’t quite appreciate the importance and influence social media can have on your business, being vocal and active is so important for keeping your brand front of mind.